This Demonstration shows how the air exchange rate affects the required time to reach safe fine particle concentration in an automobile using Ott's model . 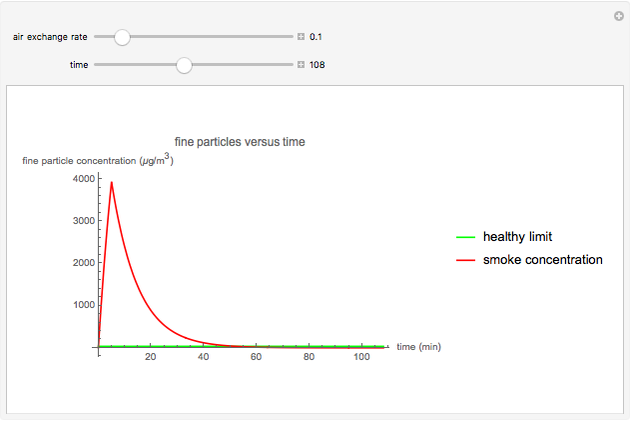 W.R. Ott, "Mathematical Models for Predicting Indoor Air Quality from Smoking Activity," Environmental Health Perspectives, 107(Suppl 2), 1999 pp. 375–381. 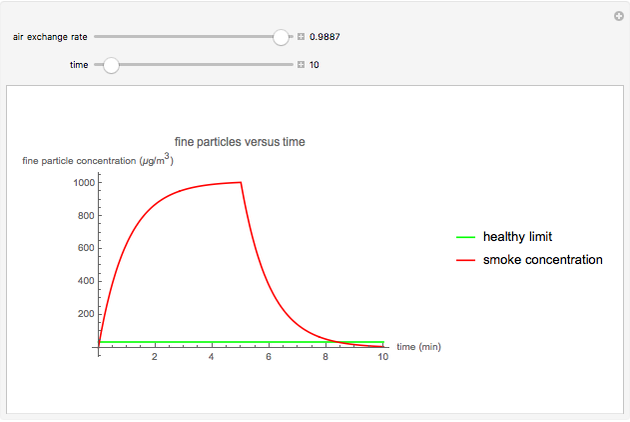 Osman Tuna Gökgöz "Cigarette Smoke Concentration in an Automobile"